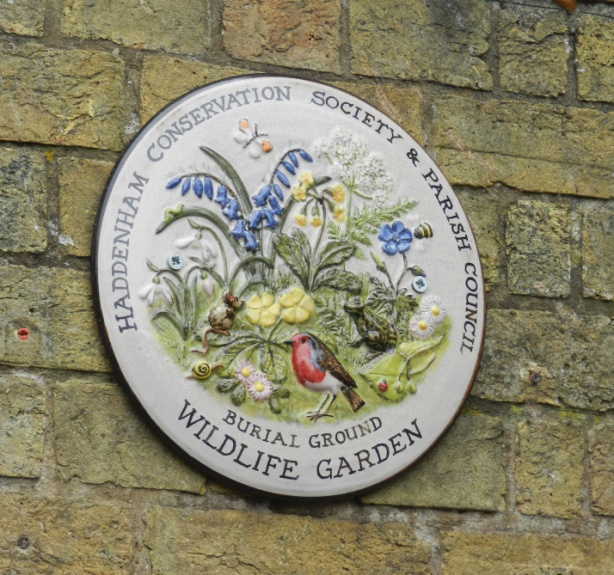 In 2015 a fresh sign was erected by the gate of the Old Burial Ground in Church Lane made of pottery, to indicate the wildflower garden run by members of HCS. 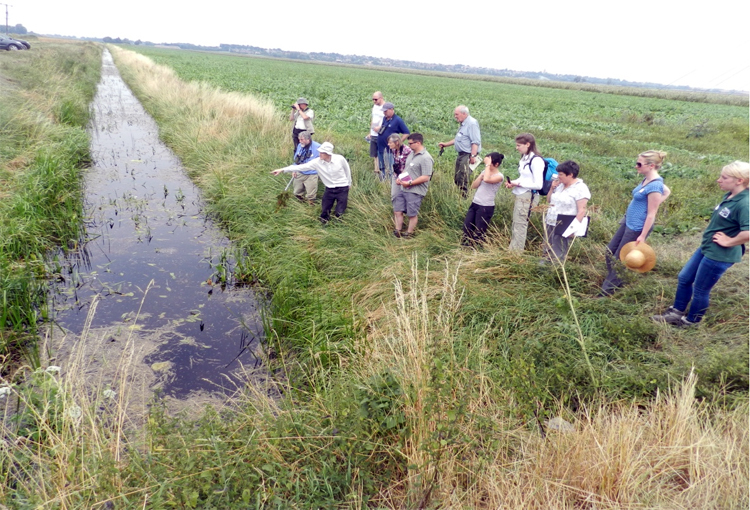 Jonathon Grahame, fenland botanist, points out a particular plant at Galls Drain. Display of set of Happy Family wildlife cards. 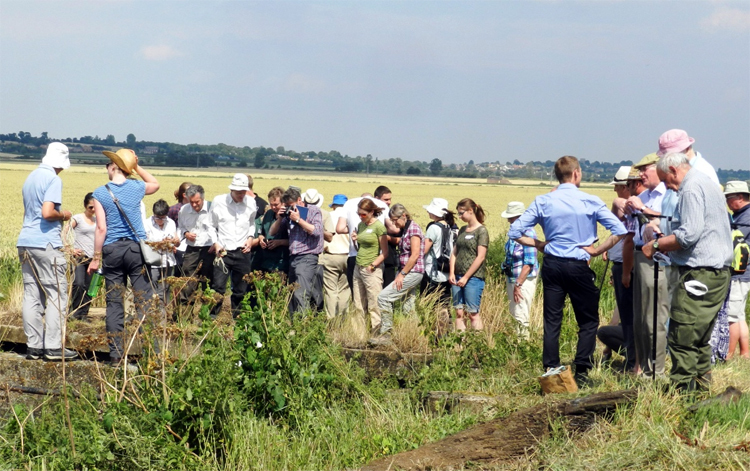 Copies were also given to Ely Museum and Welney Wildfowl Trust centre.